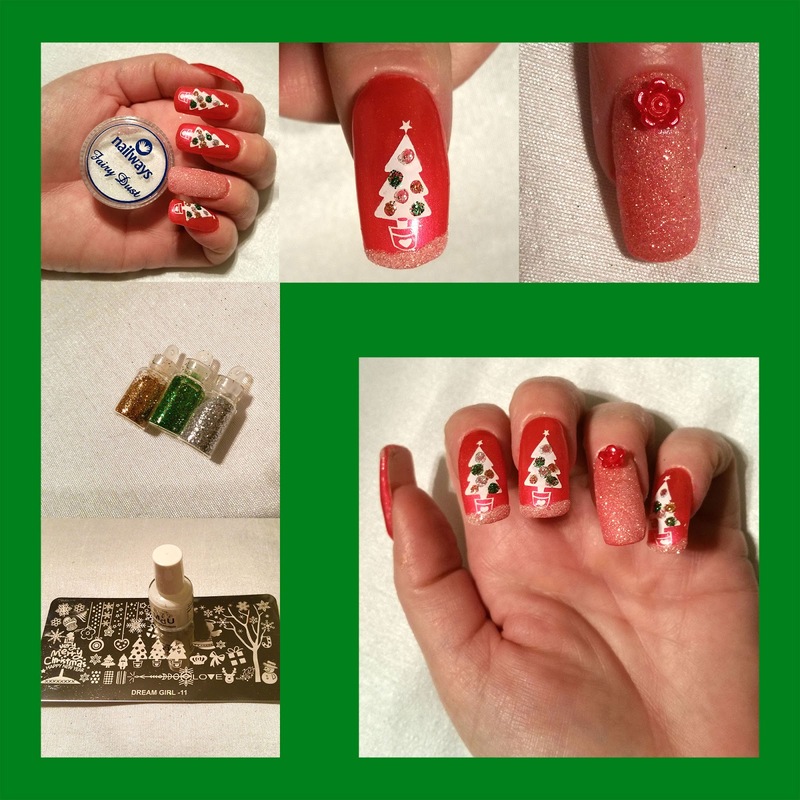 Today I show you how to make decorated Christmas trees at your nails. I started with the Red Kiss UV Metallic gel as my base color (see previous blog). First I cleaned my nails with a non-acetone remover. 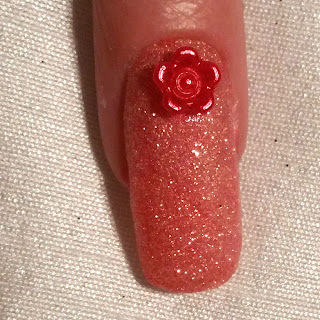 First I applied a base layer with the clear nail polish Seche Base. 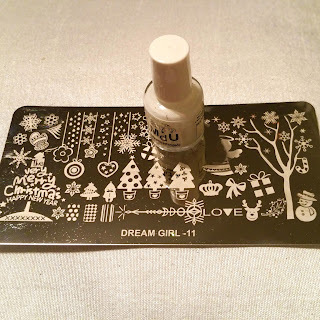 In the middle of every nail, except the ring finger, I stamped the beautiful trees of the stamping plate Dream girl 11. Christmas. and a white stamping polish. The Christmas tree balls I made as followed: First, I put two dots off clear nail polish exactly in the red circles of the trees. For a moment I let it dry. 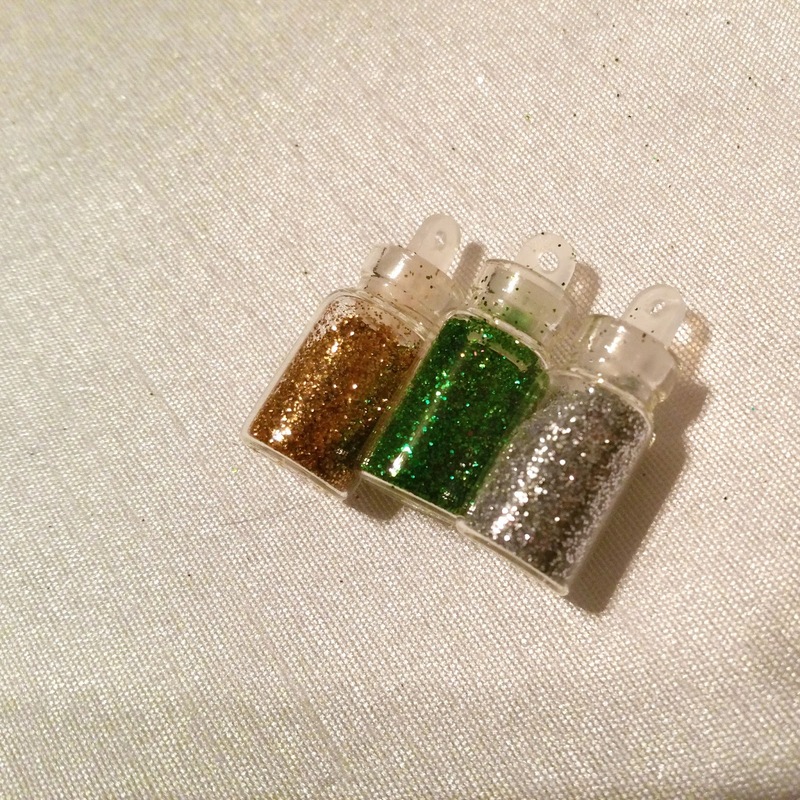 Then I place glitters over the wet nail polish. I always catch the leftovers on a sheet of paper. When you're done with your glitters, you can fold paper and place it back in the small bottle. 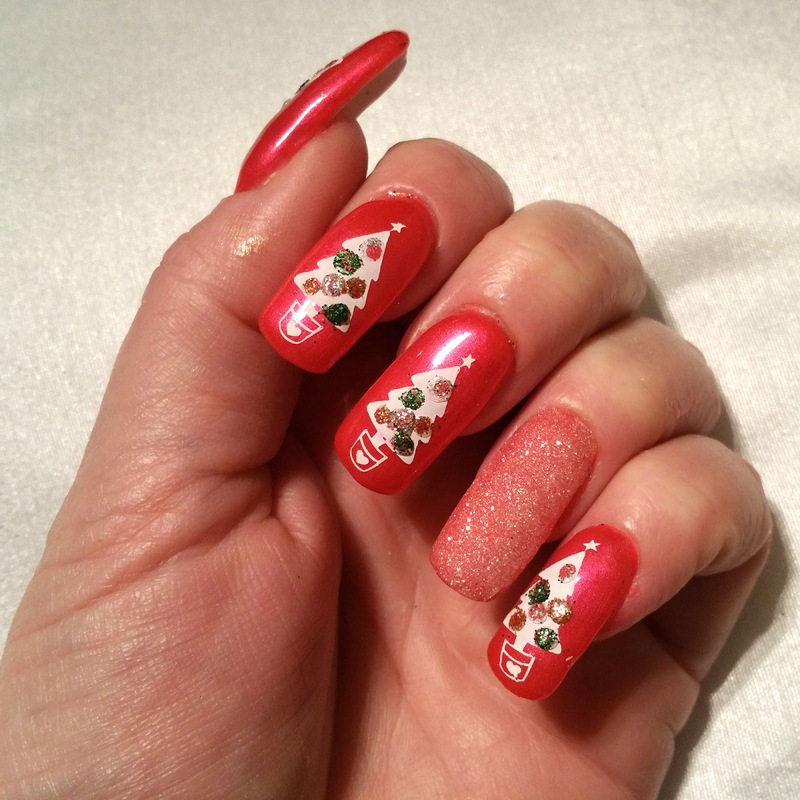 If the polish is almost dry you can press the glitters a little flat. I made the balls this with white, gold and green glitters. The ring finger I have mad totally white with glitter fairy dust - mermaid effect. Also the tips of the other nails I made white. 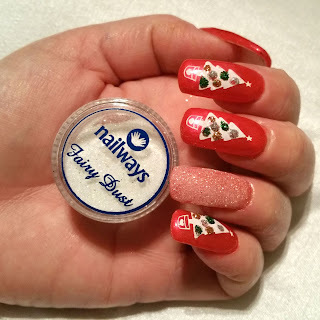 Just place some top coat and dip the nail in the white glitter. Finally, I have add a 3d flower in the cuticle on the ring finger. 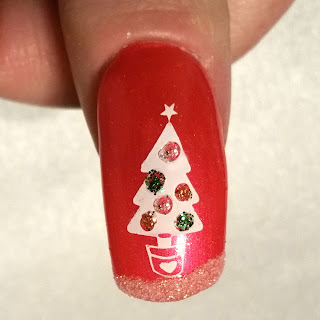 I have used no top coat this time to let the beautiful glitter sparkle more. 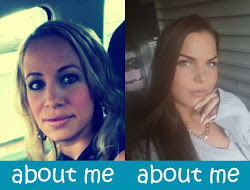 Quite a precise job, but I find the result very successful!